I love and hate this post because yay it’s fun to recap our favorite parts of summer, but boo because a recap usually means summer is ending. I guess I can’t resist the inevitable arrival of fall, but since I no longer go back to school I feel like summer lasts a little longer. 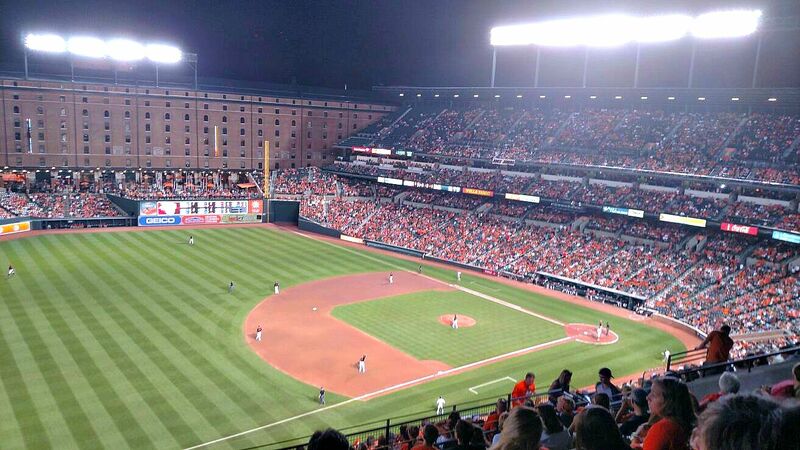 Baseball – I went to a lot of O’s games this year and plan on going to a few more this fall (ah the joys of living two blocks from Camden Yards!). Back in June, I listed baseball as one of the things I was most looking forward this summer so I feel like I checked the box on that one. And I saved that cash money by using Jeanette’s ballpark tips. 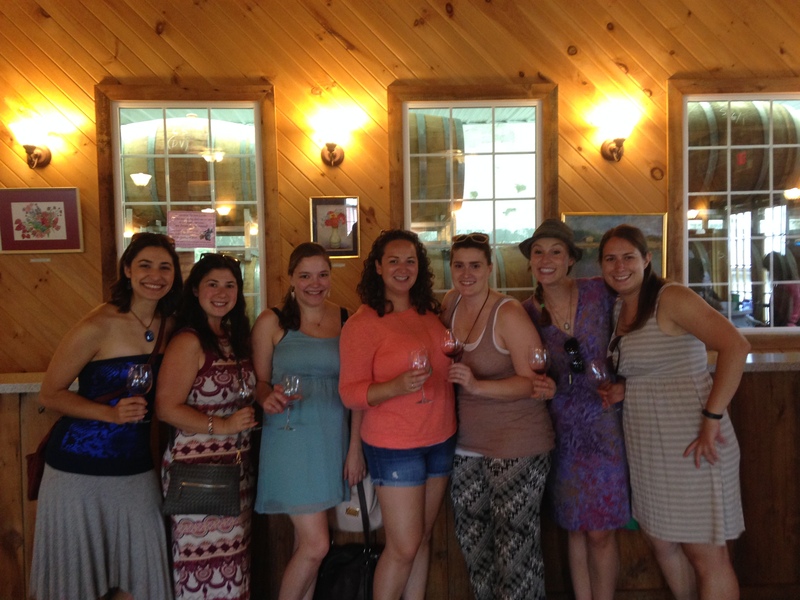 Staycation in DC – My girlfriends and I spent a super fun weekend in DC. We booked a cheap hotel room on Jetsetter and spent the day by the hotel pool, had a great dinner at Smith Commons (rave reviews for the salmon and the scallops) and had brunch the next day at Art and Soul (where we shared that banana caramel waffle masterpiece). Baltimore – Since we went on our honeymoon to Turks and Caicos in April, we didn’t do any big vacations this summer which meant I had plenty of time to soak in all that Baltimore had to offer! Jeanette and I went to the AVAM’s Flicks on the Hill last night and remarked about how much we love having events and activities that we can walk to. Other highlights included the summer social at West Shore Park and our summer corn hole league. Le Tote – I signed up for the clothing/accessories rental service in May and am head over heels in love with it. 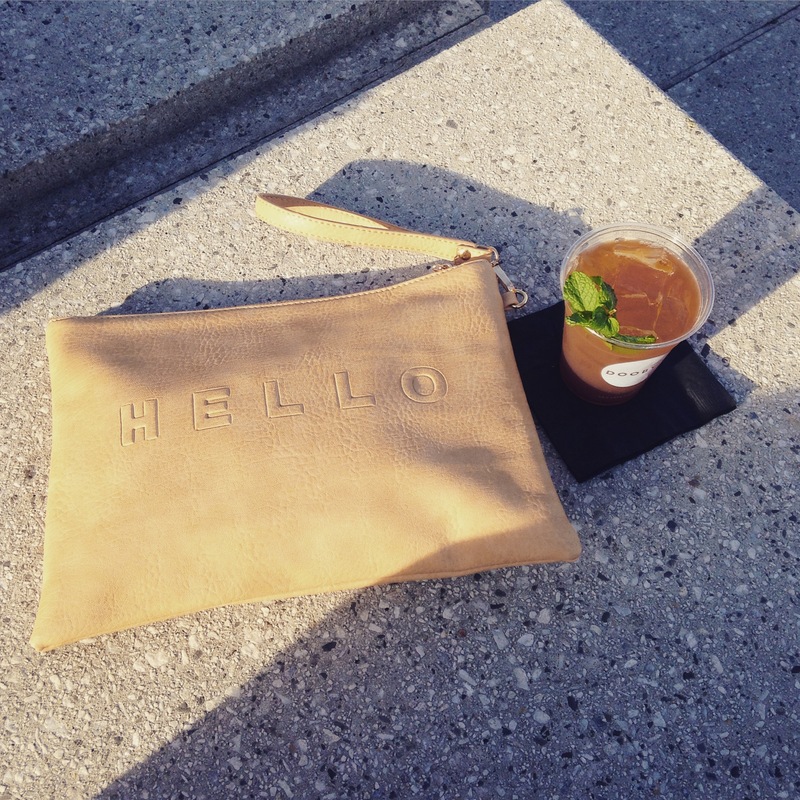 For $50 a month I have access to a ton of clothes, jewelry and bags (like the clutch above). Le Tote send me 5 pieces at a time based on my style profile and items I’ve favorited in my virtual closet. I have 24 hours to swap out the items the stylists choose for me if they aren’t to my taste and two days later the box is on my doorstep. I can keep the items as long as I want and once I get it in the mail another tote is sent my way. I almost always love the style and fit of at least 4 of the pieces in each tote. It keeps my wardrobe fresh, allows me to try pieces I wouldn’t normally buy (ahem, romper) and I don’t have to pay for the dry cleaning since they take care of the cleaning. You also have the option to keep any item from your tote and they charge you a discounted price – I’ve kept a couple items so far but I’m trying really hard not too since it defeats the money-saving purpose. If you want to sign up, use my referral link for $25 off your first month (and I’ll save $15 so win/win amiright?). 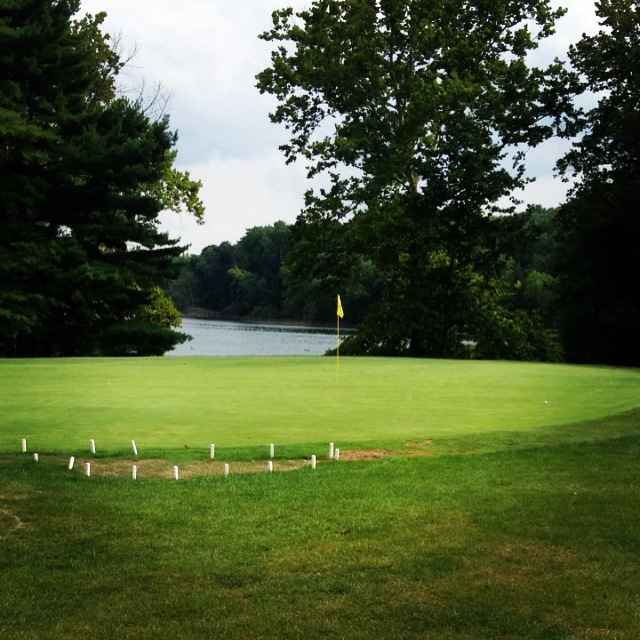 Golf – I literally hadn’t swung a golf club since high school, but this summer I dug out my clubs and hit the driving range for a series of golf events through work. I have continued to practice semi-regularly and have played a few rounds of nine holes at Pine Ridge. I’m not sure I have the patience for golf or the dedication required to keep improving, but it has been a lot of fun so far! Today we’re linking up with Courtney, Mar and Cynthia for Friday Five and Heather for Friday Favorites. 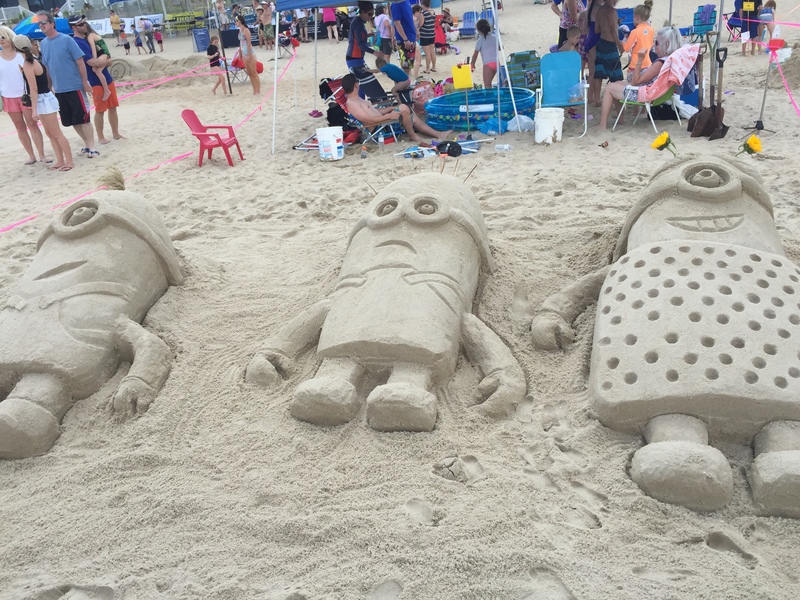 What has been your favorite part of summer? Itching for the feeling of sand beneath our toes and the sound of waves crashing on the beach, Adam and I woke up bright and early Saturday morning for a day trip to Rehoboth Beach. We were over the Bay Bridge before 7:30am and after a quick stop for coffee and breakfast we made it to the beach by 10am. 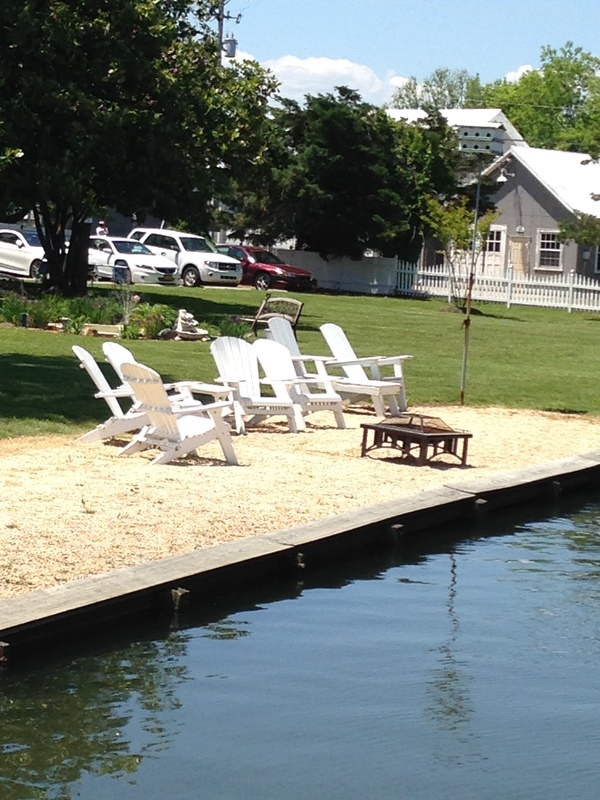 Rehoboth has a public beach where visitors can park for just $10 all day so that is where we set up shop. We had minimal supplies – two beach chairs, towels, a boogie board, sunscreen, a book and frozen water bottles which was all that we needed for a fantastic day! For lunch we walked to the boardwalk and ducked inside a fairly empty Mediterranean place for gyro salads. Pro tip: friends and I discovered Semra’s Mediterranean last year and it has air conditioning, clean bathrooms and fast, refreshing food. We try to avoid the typical beach fare – pizza, french fries etc. because who wants to be weighed down by heavy, greasy food while in a bathing suit? Not this girl! Before we walked back down the beach we popped into the Coffee House for my favorite iced chai. 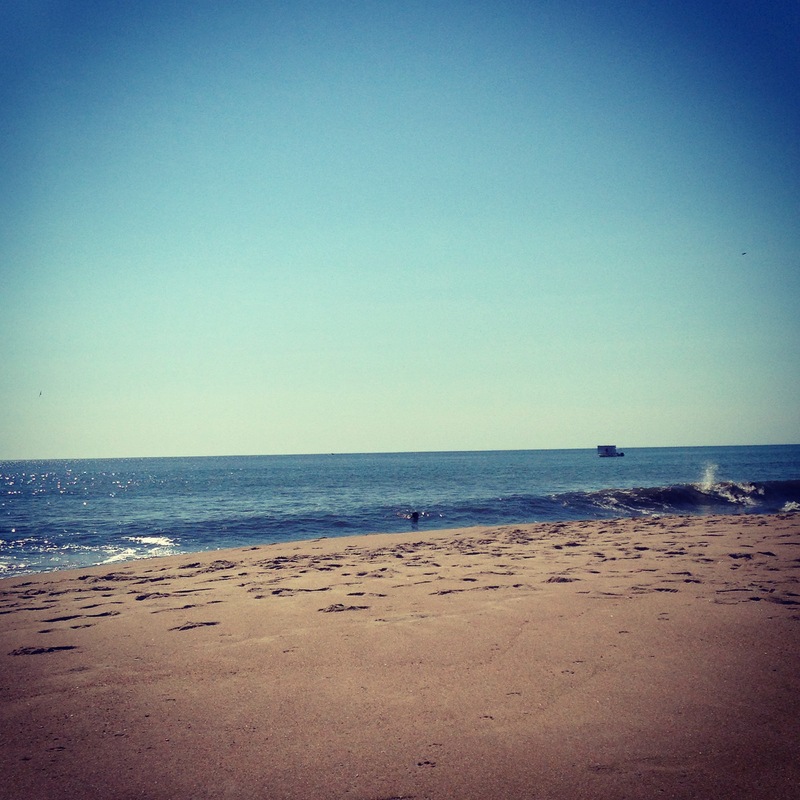 Maybe I’m just a wuss, but I think August is the best time to be at Rehoboth (and Bethany/Ocean City/Dewey etc) because the water is finally warm enough to go in! 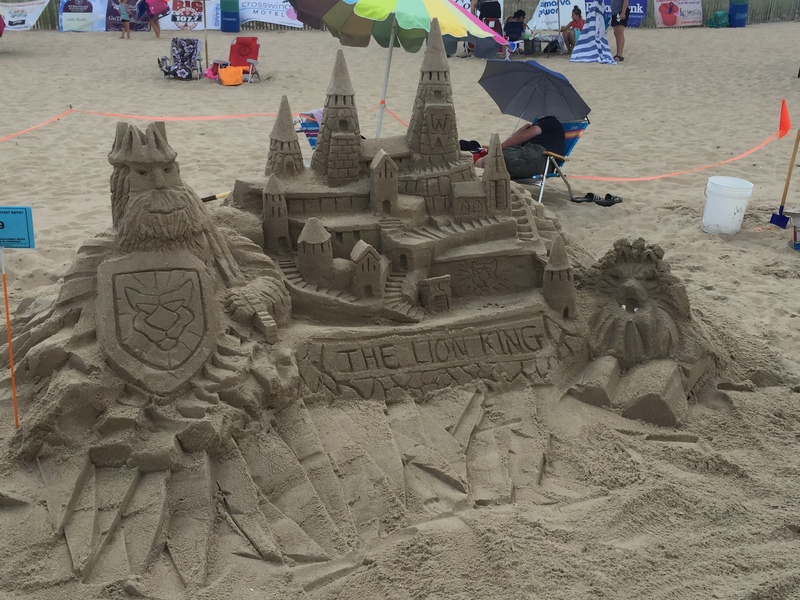 It was also the day of a big sand castle contest so we checked out all the amazing sand creations. People were so creative! I loved the minions and the proposal. After another few hours enjoying the beach we changed clothes (in our car in the parking lot) and drove to Rehoboth’s main drag for dinner. There were a ton of cars cruising around looking for parking but we lucked into a spot and grabbed seats at the bar at Pig and Fish. They have a daily happy hour so we ordered quickly ordered crab dip and a couple beers. 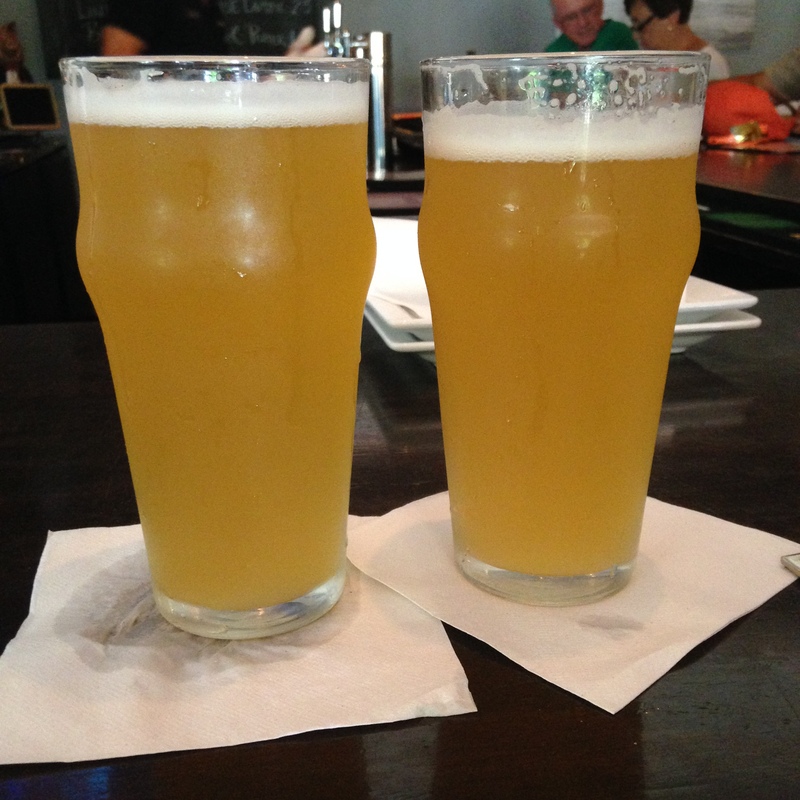 I mentioned last week that I love wit beers and the Ommegang Witte really hit the spot after a long day in the sun. 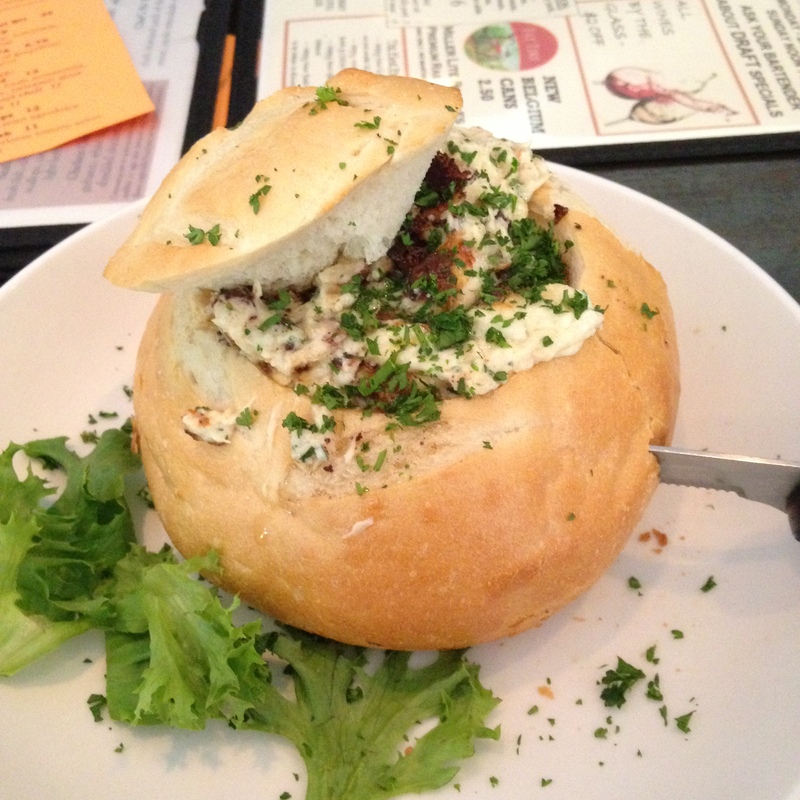 The crab dip in bread bowl was warm and gooey and amazing. 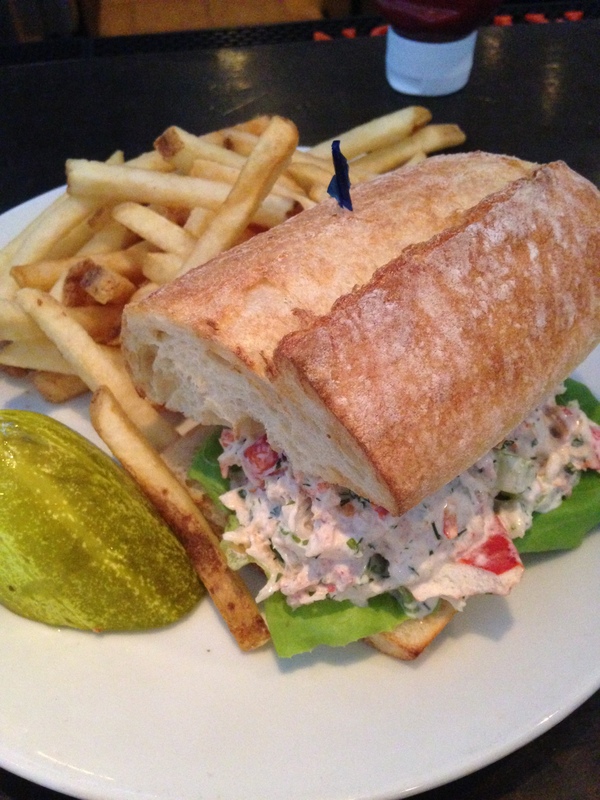 We followed it up by splitting the happy hour fish tacos and a seafood salad sandwich. Because obviously we needed ALL the seafood. After dinner we walked around, split some ice cream (salted caramel) and piled back into the car for the drive home. Two and a half hours later we walked in the house exhausted and a little sandy, but very happy from our beach day. Yes, it was a lot of driving, but it was definitely doable and with most beach hotels having 3 night minimums in the summer it was certainly a more affordable option. 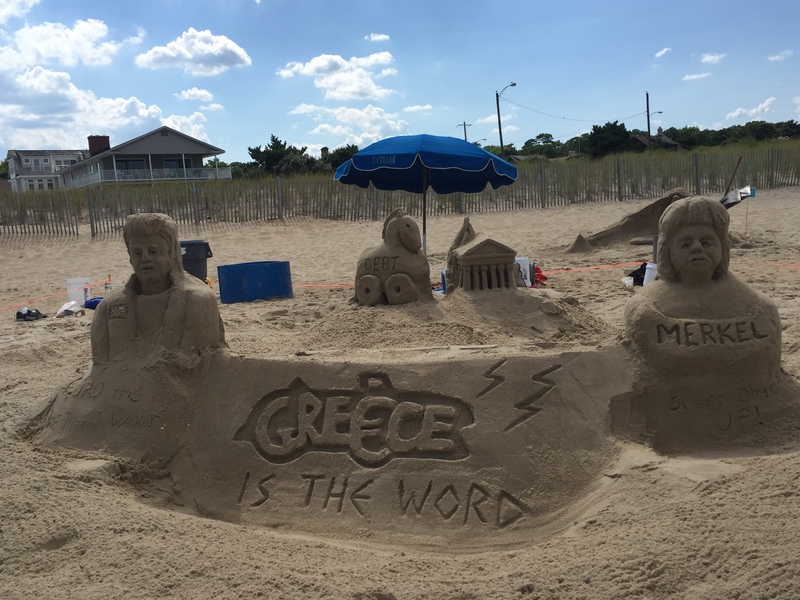 What’s the farthest you would drive for a day at the beach? 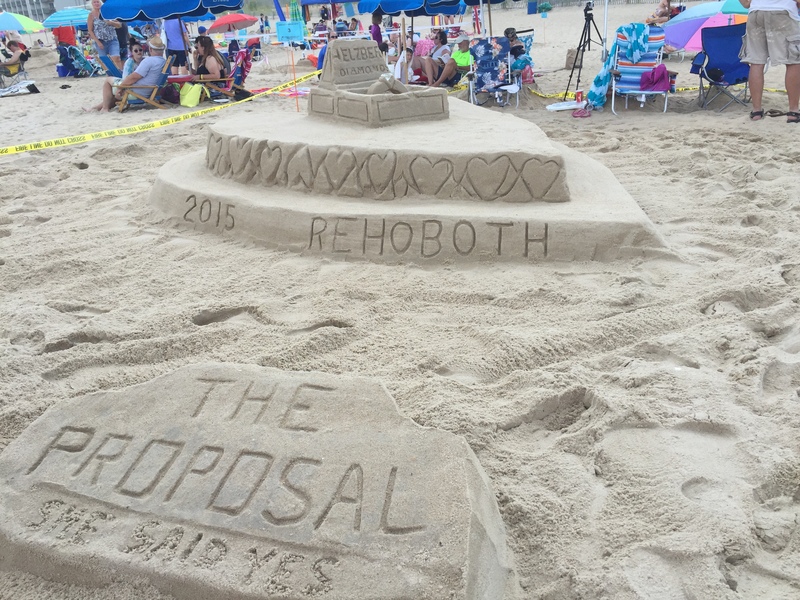 Have you been to Rehoboth? Happy Monday! I had a jam packed weekend and thought I’d pop in with a quick recap. I followed my own advice and did a couple of day trips to spend some time outside and get a change of scene. Since I spent most of the weekend out of the apartment my housework and errands were definitely neglected, but I did manage to make it to the gym both days, grocery shop and do a couple of loads of laundry so I’ll let the rest of the stuff slide. Adam and I kicked the weekend off Friday night with a trip to Salt for restaurant week. We got six different dishes among the two of us and each of them was fantastic – as were our cocktails. I posted our starters on instagram so I’ll just briefly talk about our main courses here. 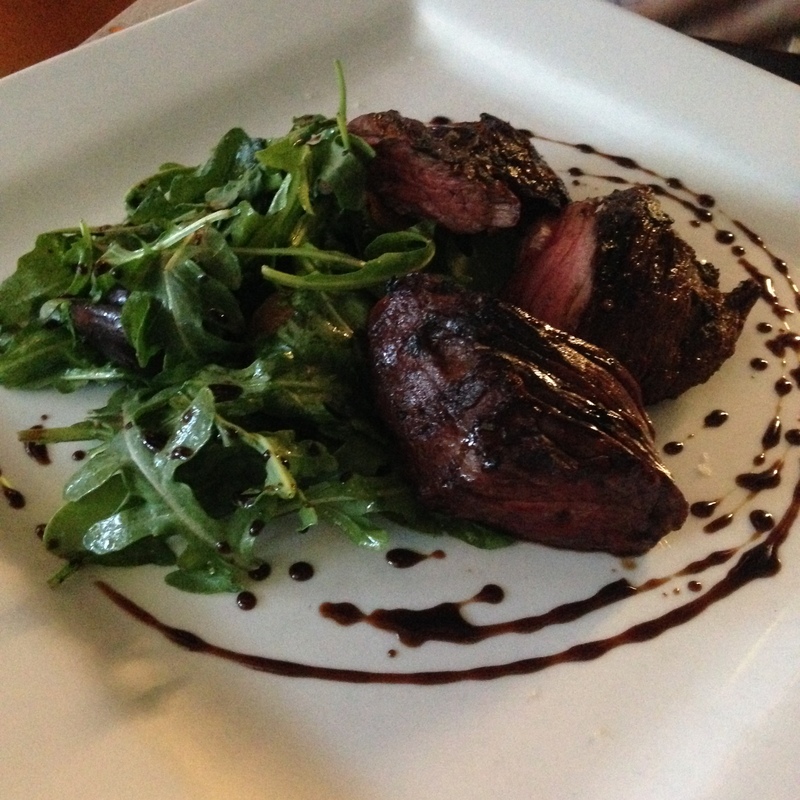 Adam got the grilled hanger steak which was super flavorful and perfectly seared on the outside. 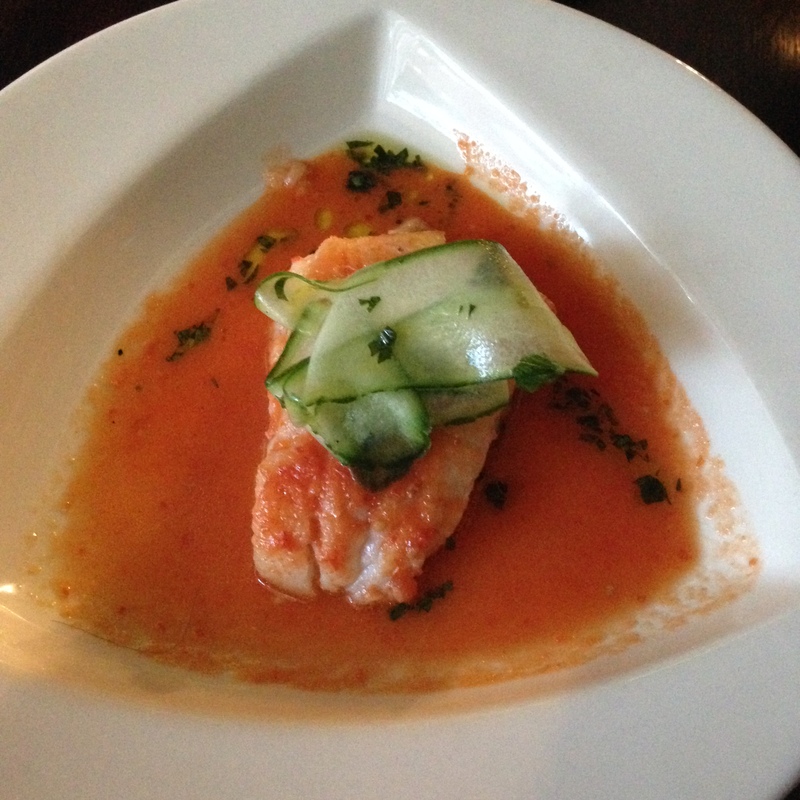 I got the cod which was served in a tomato-y broth. The dish was soupier than I expected but also very good. 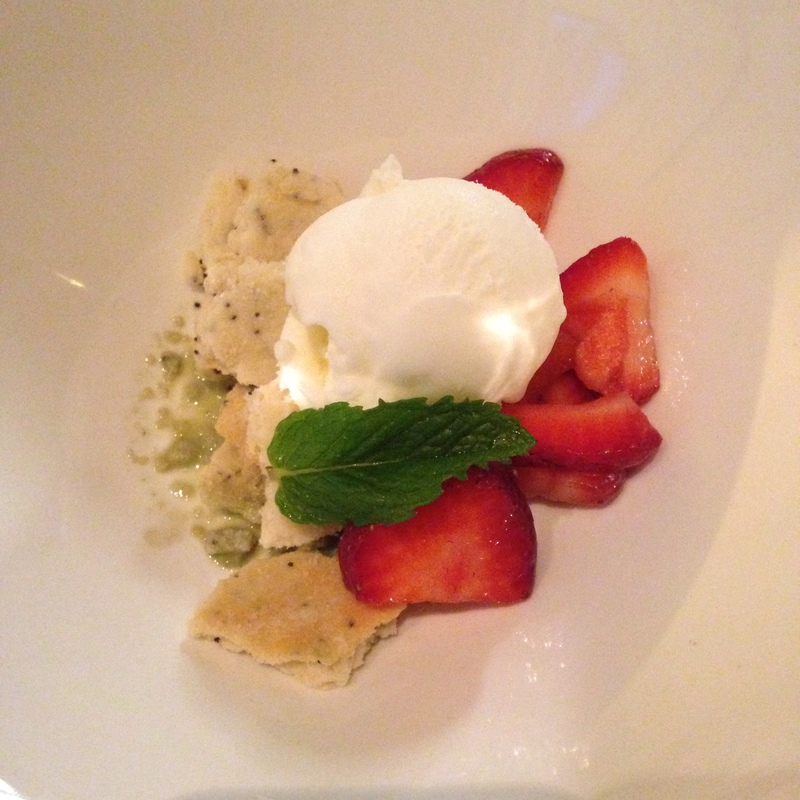 Dessert was a riff off of strawberry shortcake with lemon poppy seed shortbread, fresh strawberries and mascarpone sorbet. The sorbet might have been the best thing I ate all night. Such a unique flavor! Saturday we spent in Bethesda at a friend’s pool. Our friend goes all-out when entertaining and decided to make this weekend’s pool sesh Christmas in July themed complete with costumes and a white elephant gift exchange. We spent several hours in and around the pool and by the time we made it back to Baltimore we were exhausted. It seemed like everyone and their mom was going to the Billy Joel concert that night, but since we were to poor to spring for tickets we stayed in and made this Cooking Light Chicken Tamale Casserole. <— It is a crazy easy and delicious recipe! A friend first told me about it this past February and I’ve made it a bunch of times since then. It also reheats really well and I brought some leftovers for lunch today. Sunday afternoon I hopped in the car for the hour drive to Linganore Winery where I met up with a bunch of girlfriends. We all met as freshman living in Cumberland Hall at the University of Maryland and have stayed in touch with regular get-togethers. We paid $5 to do a tasting and sampled 10 of Linganore’s wines before buying a few bottles and settling in outside for a potluck picnic feast. 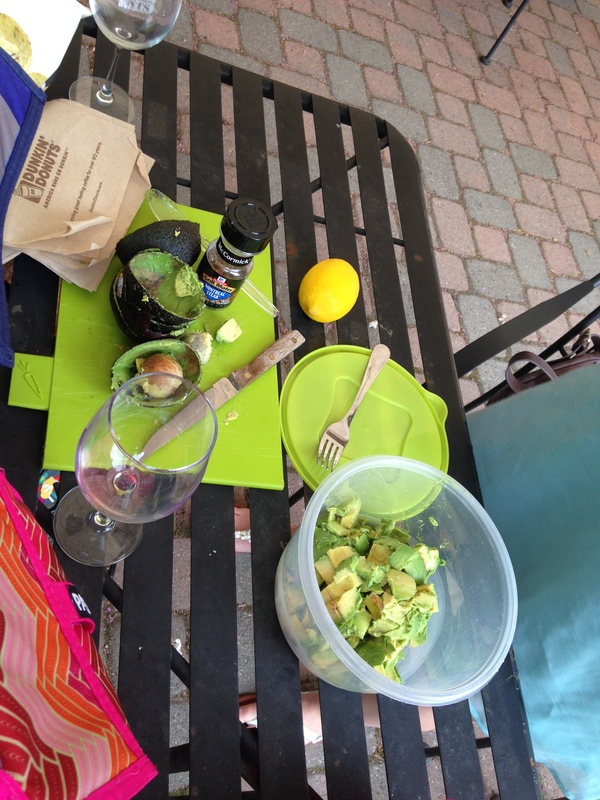 Everyone brought something to share and we enjoyed catching up and munching on cheese, baguette, hummus, veggies, sweets and table side guacamole courtesy of Jeanette. It was a beautiful (hot) day and the perfect, relaxing end to a busy weekend! Have you ever been to a winery? Linking up with Tara for Weekend Update. Mondays after a long weekend are rough. We all know it. What makes me feel a little better is planning some more summer fun. I love Baltimore, but sometimes it’s nice to get out of the city for a change of scene. Since vacation days are in short supply, I usually try to go on a couple weekend getaways rather than a full on summer trip. Luckily, Baltimore’s conveniently located with a number of fantastic destinations 1-3 hours away. Day Trips – at around one hour from Baltimore, these locations are great for a day trip. 1. 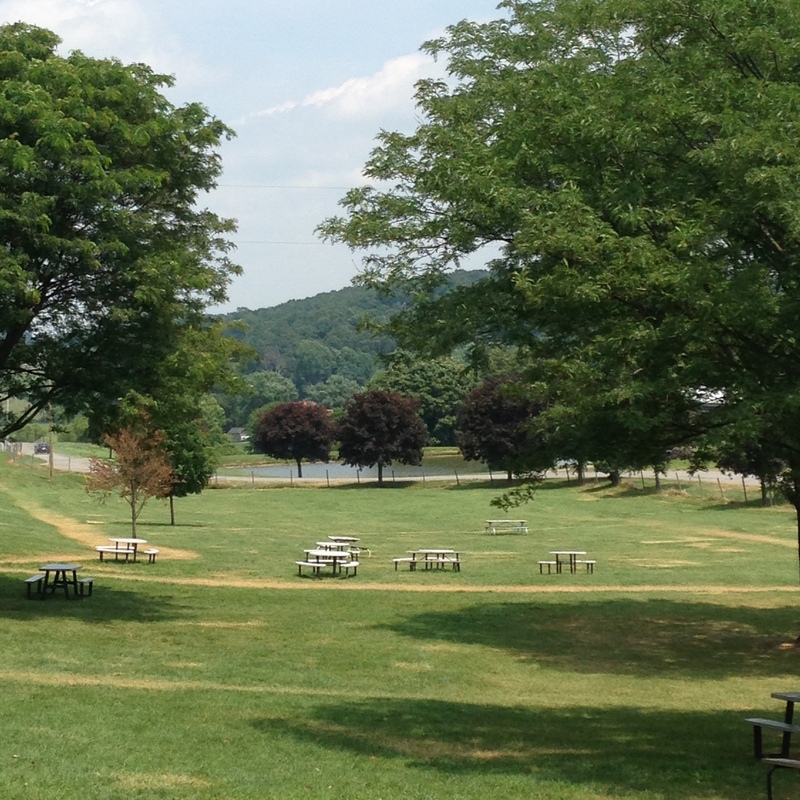 Sandy Point State Park – or as we affectionately call it, fake beach. 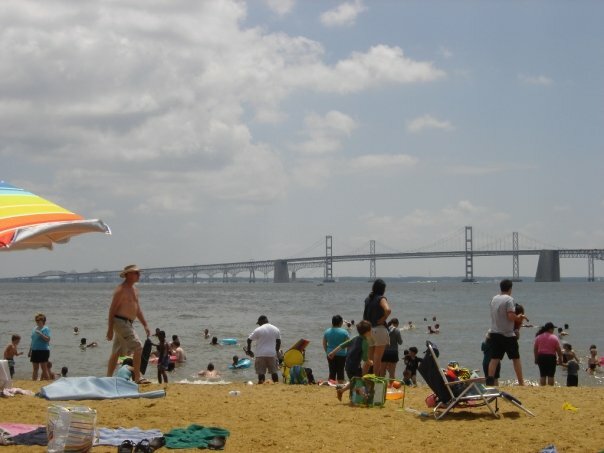 This sandy, rocky outcrop at the foot of the Chesapeake Bay Bridge is not a beach but it’s a decent beach substitute – especially since it’s less than 40 minutes from Baltimore. Bring your towel, pack a picnic lunch and enjoy a day soaking up the sun and taking a dip in the bay. Cost is $5 a person for Maryland residents. Make a full day of it by stopping for dinner and drinks in Annapolis or a Bowie Baysox game before heading home. 2. DC – This is an obvious one, yes, but it’s surprising how infrequently Baltimoreans make it down to DC. If you’re going to make the drive, you should try to pack in as much fun as you can. 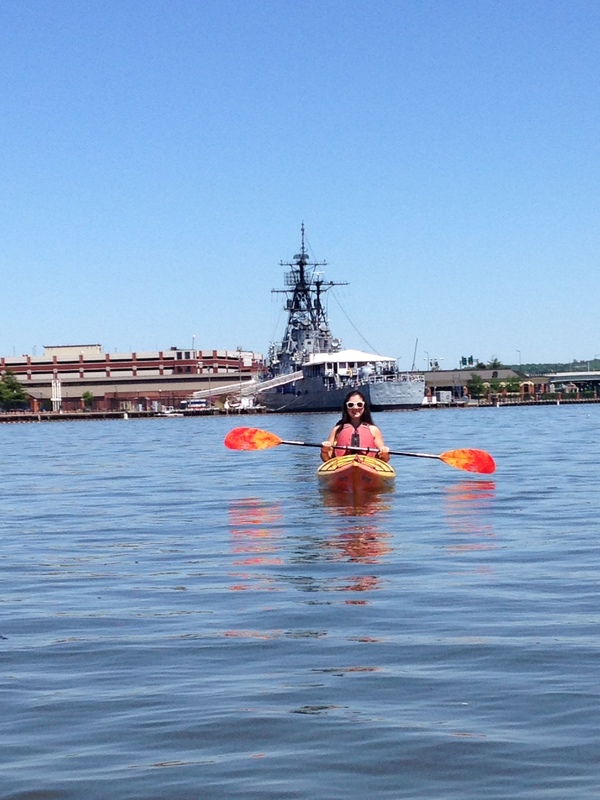 On Memorial Day weekend we did a DC day and started with a couple hours of kayaking on the Anacostia River outside Nationals Park followed by drinks at the Fair Grounds before heading to the baseball game. If baseball isn’t for you, you can also kayak in Georgetown and spend time shopping and dining in one of DC’s poshest neighborhoods. Or, check out the museums on the National Mall, hit up Spike Mendelson’s Good Stuff Eatery for lunch and have dinner at Jose Andres’ Jaleo. The possibilities are endless! 3. 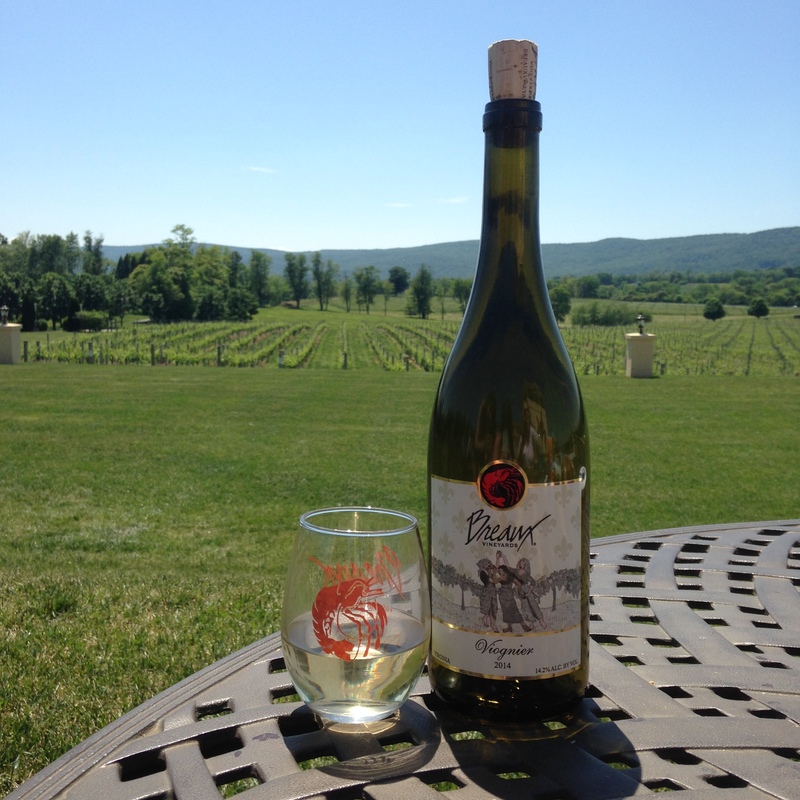 Wineries – You can find many great wineries within 1-2 hours from Baltimore. We like to make a day out of it and aim to get to the winery around 12pm, do a tasting and buy a couple of bottles to drink. Everyone brings some food to share – baguette, cheeses, sliced meats, hummus and crackers – and we picnic while sipping our wine and taking in the beautiful scenery. Most tastings are $10-15 and usually wineries let you bring your own food to eat outside on the property. Hit up Breaux Vineyards and the nearby Maggie Malick Wine Caves, Sugarloaf Mountain Vineyard, or Black Ankle Vineyards among many others. Overnights – these places are a little further away but perfect for a weekend visit. If you’re traveling North of the city note that both Wawa (yay) and tolls (boo) are plentiful – depending on your route you can pay as much as $30 round trip in tolls. 1. St. Michael’s – St. Michael’s is across the Bay Bridge, abut an hour and a half from Baltimore. This quiet little town on the water is gorgeous and is absolutely perfect for a relaxing weekend away from the city. Start with steamed blue crabs and a piña colada at the admittedly touristy Crab Claw before walking down Talbot Street and visiting the local shops. If you feel like splurging, stay at the Inn at Perry Cabin where they filmed Wedding Crashers, but for more affordable options try Harbourtowne or St. Michael’s Harbor Inn – you can sometimes find discounted rooms on Groupon or LivingSocial. There are also a number of local rentals on VRBO that are a short drive from the town – we stayed in one that had kayaks and stand up paddle boards to keep us entertained. St. Michael’s also has a winery and brewery so stop in for a tasting. 2. Philadelphia – I lived in Philly in the summer of 2013 for an internship and spent quite a few weekends doing the easy two hour drive to Baltimore. Philly has a lot more to offer than cheese steaks (though definitely get one from Jim’s while you’re there). 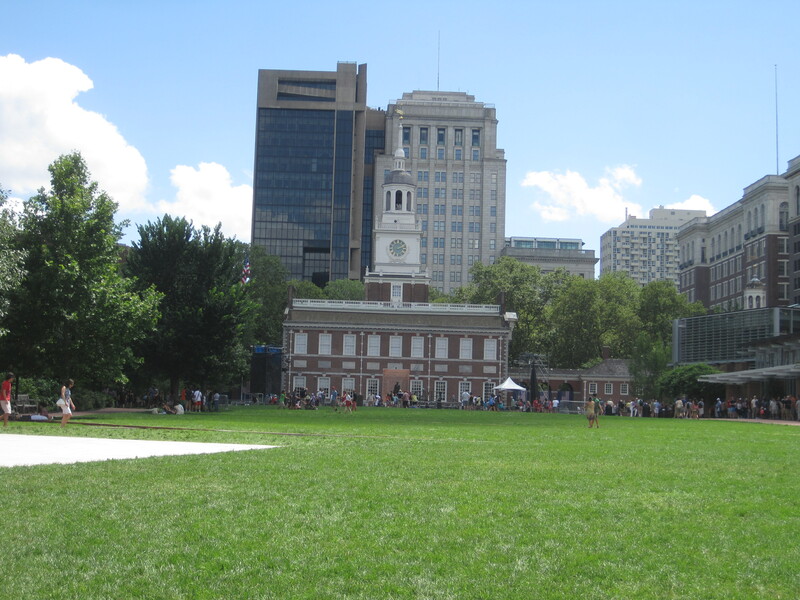 There’s a ton of history including Independence Hall and the Liberty Bell, great museums and some seriously good eats (and many places are BYOB). Check out Reading Terminal Market, an historic covered Farmers’ Market with countless vendors and tasty treats including the best hot, fresh doughnuts from the Pennsylvania Dutch. 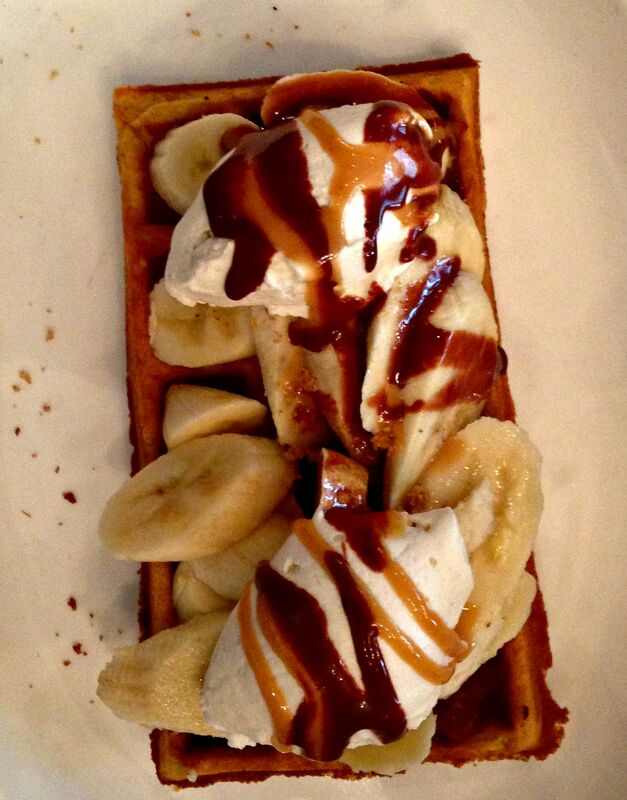 Take a walk through Old City and Rittenhouse Square and for brunch hit up Sabrina’s or Parc. 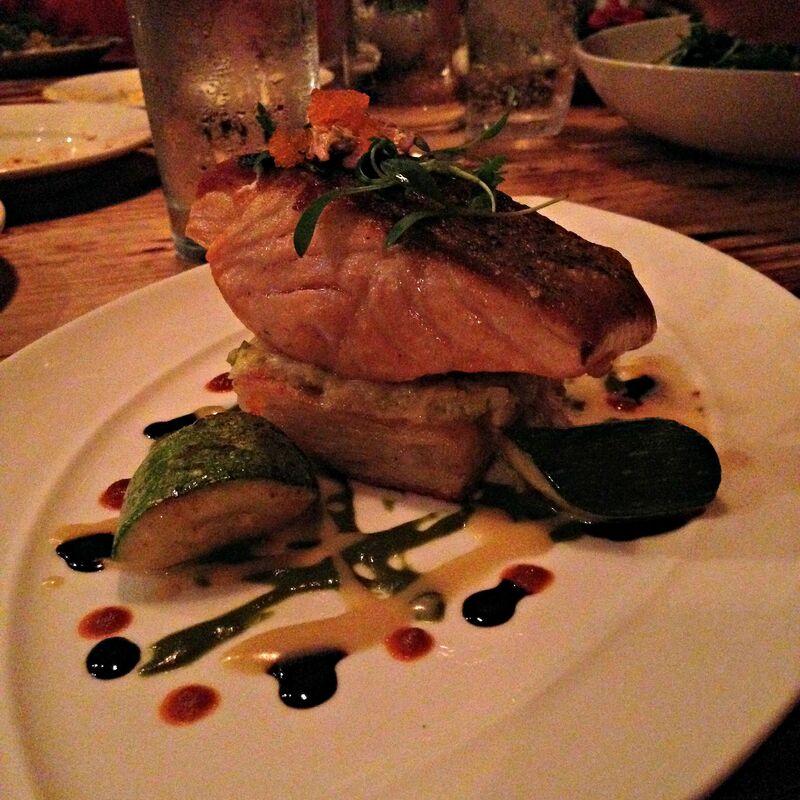 If you’re looking for a more unusual dining experience, try Cibo Ristorante. Formerly Walnut Street Supper Club, Cibo has continued the “supper club” concept and the waitstaff at Cibo entertain the crowd with show tunes throughout the night.We were very impressed with the quality of the singers and had a great time! 3. Atlantic City – Ooooh AC. If you’re looking for somewhere a little more lively for your summer getaway, then look no further. I’ve done quite a few weekends in AC over the years and always had a blast. In our younger days we would pack 12 people into one hotel room, but now that we’re just young(ish) we definitely prioritize bed space and so we look for discounted rooms on Jetsetter and daily deal sites. Friday and Saturday nights are considerably more expensive so save money by going midweek if that’s an option for you. 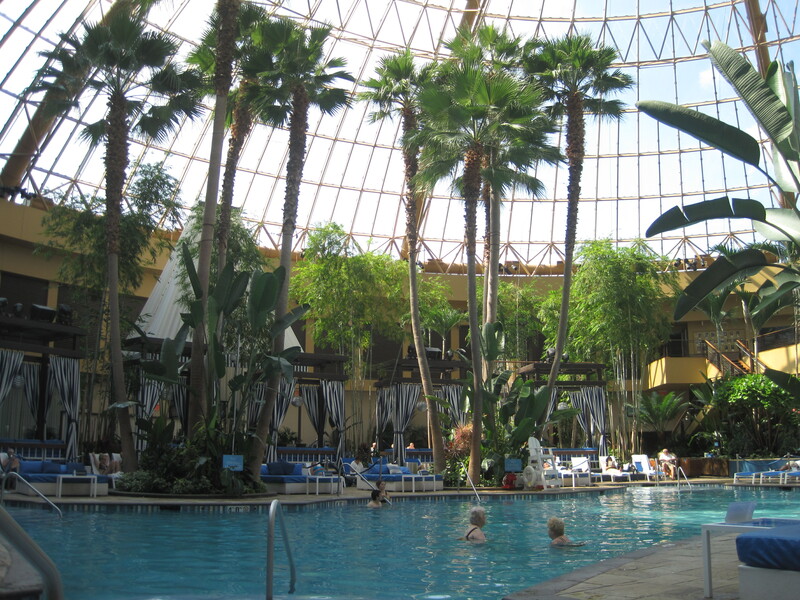 I recently stayed at Harrah’s and loved it – the casino has a lot of dining options and a great pool (pictured above). Three evenings a week, the pool becomes a night club with drinking and dancing, and if you’re feeling it – a late night swim. You can also take a walk along the boardwalk and play carnival games (there’s a free shuttle form Harrah’s or take a limo since they are as prevalent as cabs and not much more expensive). On another recent trip we stayed at the Taj and went to the nightclub Mixx at the Borgata. I’d recommend doing some research in advance and planning where you’ll eat and go out since some parts of AC are a little run down and if you’re with a large group many restaurants require a fixed price menu. What trips do you have planned for the summer? Are there any other good summer getaways that we missed? I heard NSYNC’s Tearin’ Up My Heart on the radio this morning and then came across this Baltimore Sun story on the top summer songs of the 90’s so I have definitely got throwback music on the brain! I figured Throwback Thursday is the perfect time for some musical nostalgia. It’s crazy how you can hear a song and so quickly be transported back to a specific moment in time. For Tearin’ Up My Heart that would be performing karaoke with a group of friends at my elementary school’s annual Fun Fair. The Sun based their article on actual stats like “seasonal popularity on Billboard’s Hot 100 charts” which is fine and all, but I prefer to make my lists based on gut feeling and what songs I know all the words to! 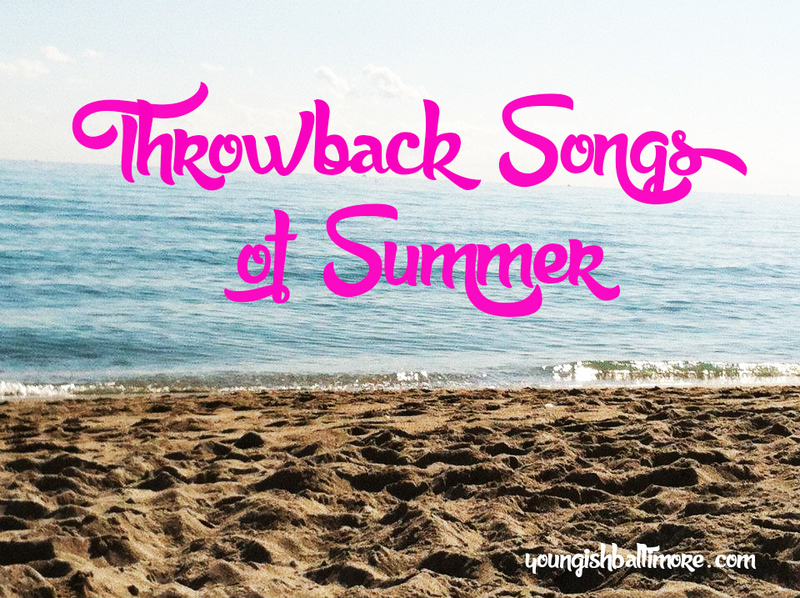 Join me in looking back at some of the best summer songs. Did I miss your faves? Add them in the comments! I’m pretty sure 1995 was the first year I really started listening to music since when I think back in my memory three songs from that year jump out and Another Night is at the top of my list. I remember it coming on the radio at summer camp (the other memories that have stayed with me from camp that year include being force fed lima beans and riding horses). Anyway, is there a song that is more fun to sing along to? Seriously listen to it right now and have fun jumping in with the rap part at the end. Growing up in Northern Virginia, we didn’t get out of school until the third week of June, well after the summer weather hit. Those days at the end of the school year were the best and the worst – the worst because we were still in school and the best because no one, not even the teachers, wanted to actually do school work. 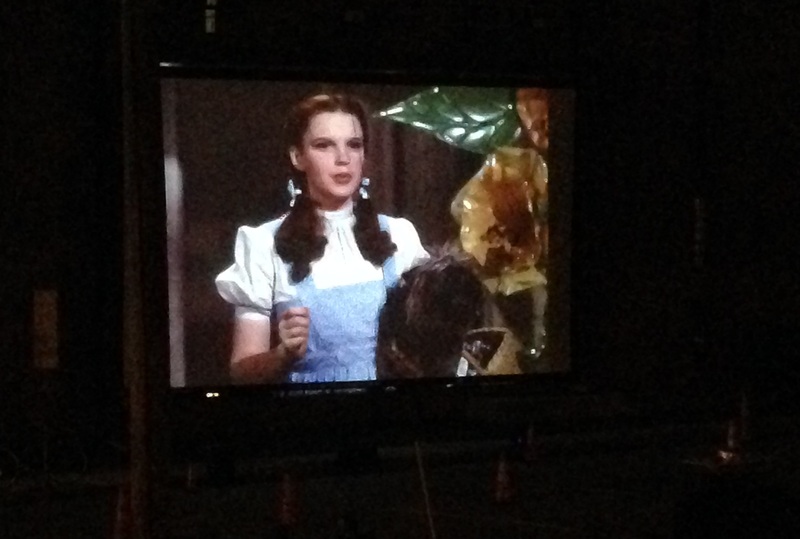 It was all end of year picnics and extra recess. It’s during those last few weeks of school that I remember hearing Roll to Me, Del Amitri’s catchy single. This also made the Sun’s list and is another song I distinctly remember from my Fun Fair karaoke days. Remember the days when you could go up on stage completely sober and belt out the words to your favorite songs with no shame? Because karaoke and I are not friends anymore. Speaking of awesome girl groups of the 90’s… Wannabe came out in July of 1996 and all of a sudden we were all wearing platform sneakers and Union Jack t-shirts. The Spice Girls have also had staying power as a group Halloween costume- we resurrected our Spice Girls looks in high school and college. Tell me why this song is such a classic! We sang this non-stop that summer including on the swings at the Fairfax Fair (apparently all I did in the summer growing up was go to fairs?). There was also guaranteed to be a BSB song on every Now That’s What I Call Music and one of those CDs was pretty much always playing on my back deck or by the pool all summer long (PS they still make these and are on #54 so if you don’t already feel old, there’s that). More recently, there have also been a lot of songs with really strong associations with a particular summer. For example, Chamillionaire’s Ridin’ stayed with me all summer in 2006 and could you avoid hearing Rihanna’s Umbrella in the summer of 2007? Or TI’s Whatever You Like released in July 2008 (pretty much THE song associated with my senior year of college)? How about Party in the USA in 2010? 2011 was the summer my former employer the Washington Kastles had an undefeated season culminating in an epic 8 hour long (thanks rain delays) final in Charleston, SC and our soundtrack that summer will forever and always be Party Rock Anthem and Superbass. Call Me Maybe was so my jam in 2012 probably to the chagrin of Jeanette who had to live with me while I blasted that baby on repeat. If you’re looking for more tunes for your throwback playlist for summer please check out Billboard’s Top 10 Songs from each Summer 1985-2014. Ohhh this list brings me back! MMMBop! Vertical Horizon! Vanessa Carlton and her piano! Want to hear all the songs listed in this post? Checkout this youtube playlist! Pop music not your scene? What are your songs of summer?